An 80-acre riverfront property on Maryland’s Eastern Shore, Langford Creek Farm is the result of a family collaboration. OvS worked with the client, an amateur interior designer, and the client’s brother, a professional architect, to develop a personalized, highly-detailed retreat on a watershed tributary of the Chesapeake Bay. 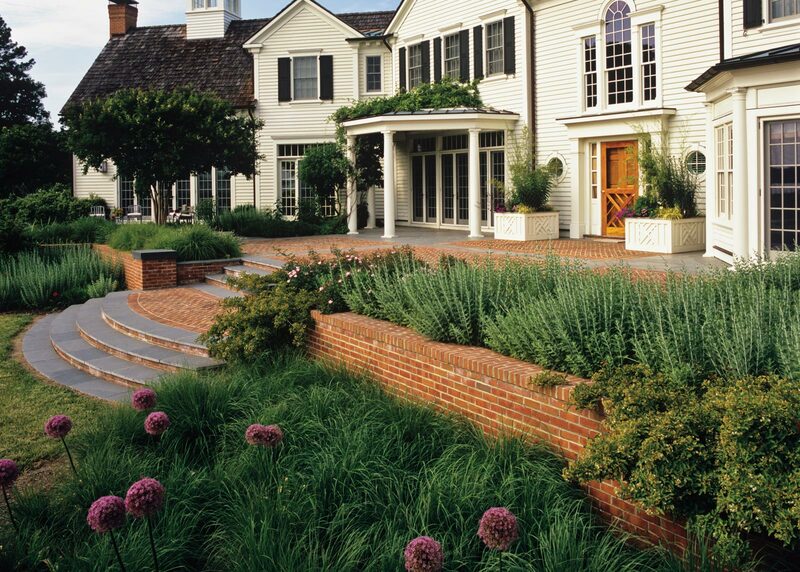 The multi-phased design began with the installation of a pond at the north east of the home. Following installation of a second, non-tidal pond at the south east of the house, the firm embarked on a full re-invention of the property. An entry sequence and hierarchy of pedestrian paths weave through the former agricultural fields, terminating in garden rooms and amenities. 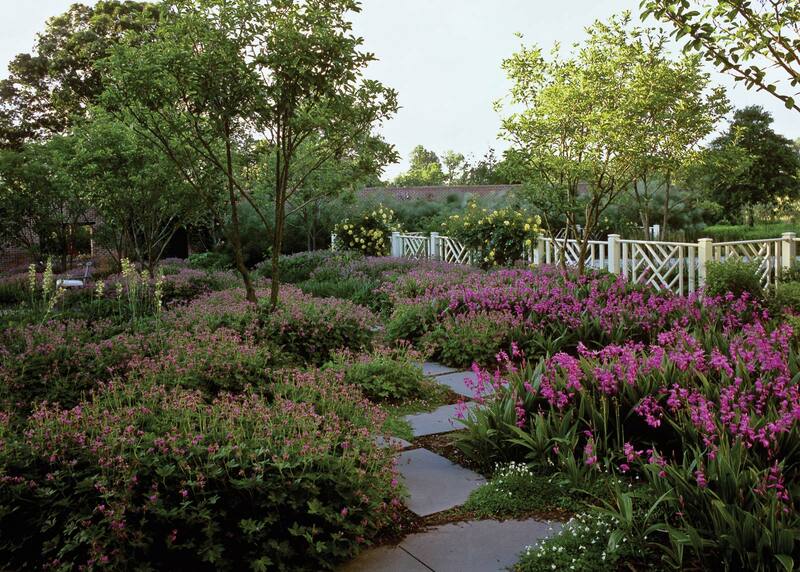 Terraces and overlooks provide multi-layered vistas through the garden to the adjacent Langford Creek and Chester River, while other garden features are placed to screen adjacent properties. A lily pond and custom-designed sculptural water features cool the air with sound and movement, and a rectilinear swimming pool provides respite during the humid summers. 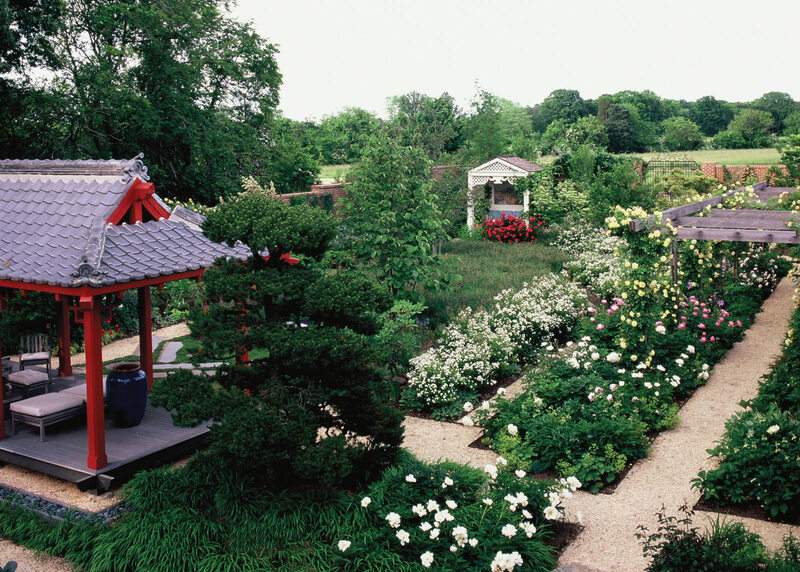 A mutual interest in English gardens spurred a trip to the United Kingdom for the client and designer and provided inspiration for the hallmark of the garden’s architectural details: an English walled garden. With 10-foot brick walls and simple wood and ironwork doors, the walled garden creates a series of intimate spaces that offer four seasons of interest and provide a layered dimension of color when viewed from the house above. 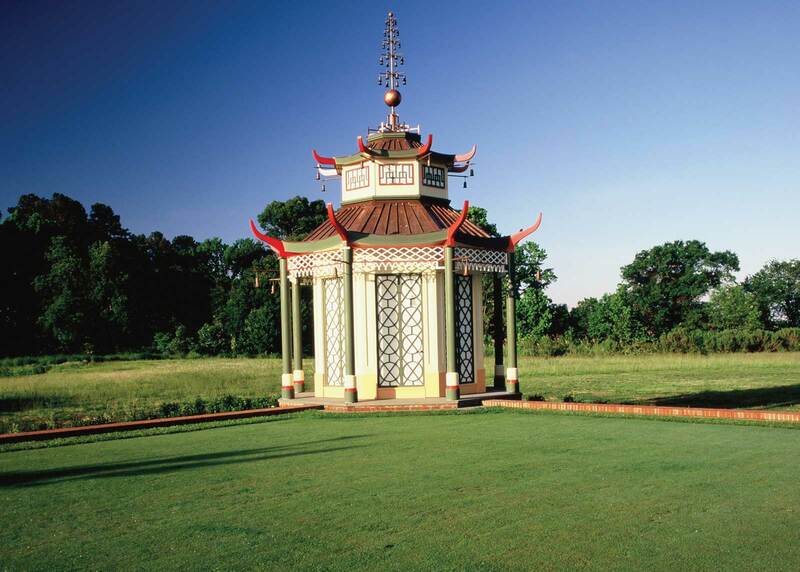 The rose garden within is accentuated by a red lacquer Chinese pagoda, which complements the home’s Chippendale and Asian aesthetic. The innovative planning and design process addressed the extensive regulations that protect the region’s environmentally and ecologically sensitive nature.